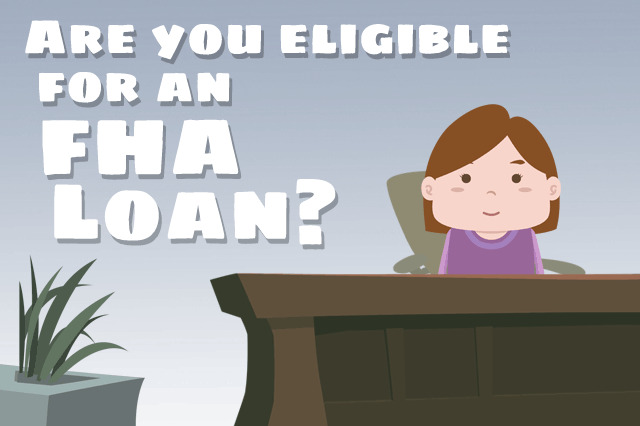 Do you need help figuring out whether you are eligible for an FHA mortgage? It may be simpler than you think. FHA home loans are not just for a certain income level, and they are not just for first-time buyers, as we’ll see. March 20, 2017 - Do you need help figuring out whether you are eligible for an FHA mortgage? It may be simpler than you think. FHA home loans are not just for a certain income level, and they are not just for first-time buyers, as we’ll see. HUD 4000.1 is the FHA home loan rule book for single-family mortgages (both purchase and refinance loans) and we learn who is permitted to apply for an FHA single-family home loans using this reference. owner-occupier of the property to be purchased. Those who wish to purchase vacation homes, or similar “intermittent occupancy” properties won’t be approved for an FHA loan. Furthermore, HUD 4000.1 states that FHA regulations do not permit FHA single family home loans to be used for investment properties. While multiple-unit properties can be purchased with an FHA mortgage, those who want to purchase a multiunit property and rent out all of those units to other people would not be approved for the mortgage. FHA loans cannot be used to purchase time shares, condo hotels, or short-duration occupancy properties. The borrower must be an owner-occupier. But there are important things to keep in mind about occupancy. Military members will find FHA loan rules favorable to their needs. They are not excluded from FHA home loans just because they have a career that takes them away from their primary residence as part of their military duties. In short, if a military member purchases a property with an FHA mortgage but is deployed out of the local area, they are still considered owner-occupiers. One thing that might surprise some potential borrowers? The eligibility rules for FHA loans with regard to citizenship. According to HUD 4000.1, page 129, “U.S. citizenship is not required for Mortgage eligibility”. That’s good news for lawful permanent resident aliens and non-permanent resident aliens who want to purchase a home with an FHA mortgage. Borrowers will be required to furnish documentation and supplemental information if they are affected by the rules in this area; borrowers should come to the FHA loan process ready to show work authorization documents, Social Security Numbers, and indicators of residency or permanent residency depending on the applicant’s citizenship or alien status.